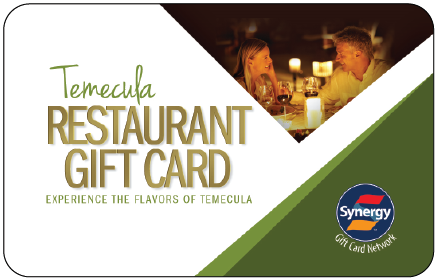 ﻿﻿ Welcome - Temecula Gift Card | Processed by Synergy World, Inc. The Temecula Gift Card is accepted at participating restaurants in Temecula, San Diego, New Mexico, Colorado Springs and Arizona. Costco members purchase two $50.00 Gift Cards for $69.99 (30% Savings). Click HERE to view participating restaurants in Temecula.